According to TechSci Research report, ‘Europe Lipstick Market By Product Type, By Distribution Channel, By Country, Competition, Forecast & Opportunities, 2013 – 2023’, Europe lipstick market is projected to surpass $ 2.4 billion by 2023. Anticipated growth in the market can be attributed increasing financial independence of women and rising awareness among working women regarding use of lipstick in daily life. Moreover, in order to look fashionable and trendy, demand for cosmetics among youth is increasing, which is further pushing demand for lipsticks across the region. Additionally, rising focus of manufacturers on product innovation in lipstick market is anticipated to positively influence Europe lipstick market in the coming years. Among countries, a large demand for lipsticks emanates from United Kingdom, followed by Italy, Germany, France, and Spain, among others. Major players operating in Europe lipstick market offer high value products with a wider product portfolio. Moreover, interest in personal grooming is rising in European countries, which is further expected to contribute to the rising demand for lipsticks during forecast period. 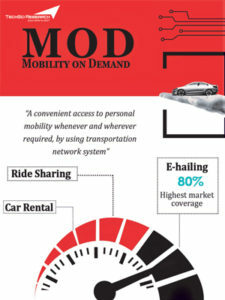 Additionally, demand for lipsticks is increasing in developing economies in Europe backed by rising purchasing power. Among distributions channels, Supermarket/ Hypermarket dominated Europe lipstick market in 2017, and the segment is expected to continue its dominance during forecast period as well. Supermarkets/ Hypermarkets offer convenience in terms of showcasing multiple brands at a single location besides providing lucrative discounts and offers. “Rising consciousness among people regarding beauty products is boosting the usage of lipsticks across Europe. Moreover, people are showing increasing inclination towards natural cosmetics instead of chemical laden conventional cosmetics, which is pushing manufacturers to come up with natural cosmetics including lipsticks. 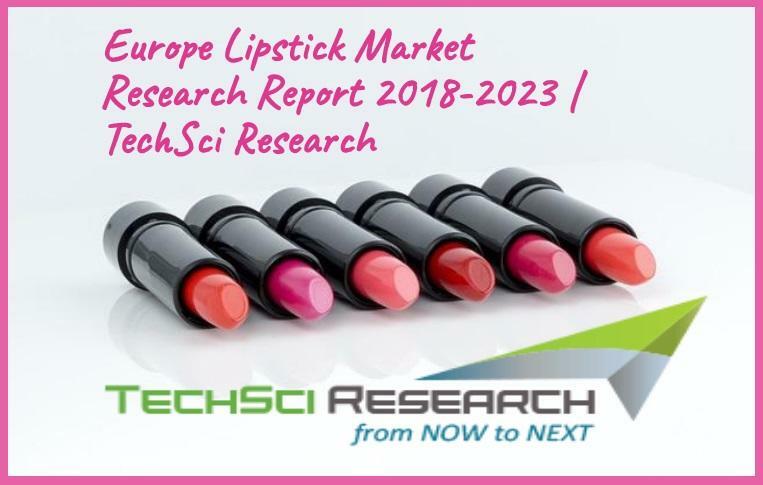 This factor is anticipated to positively influence Europe lipstick market over the course of next five years.” said Mr. Karan Chechi, Research Director with TechSci Research, a research based global management consulting firm. “Europe Lipstick Market By Product Type, By Distribution Channel, By Country, Competition, Forecast & Opportunities, 2013 – 2023” has evaluated the future growth potential of lipstick market and provides statistics and information on market structure, size, share and future growth. The report is intended to provide cutting-edge market intelligence and help decision makers to take sound investment decision. Besides, the report also identifies and analyzes the emerging trends along with essential drivers, challenges and opportunities present in Europe lipstick market.